The 48th edition of Winton P. Wilson (WPW) Sniper Champioship (National Guard) competition, a military sporting event for select shooters, at the Fort Chaffee Joint Maneuver Training Center in the state of Arkansas (USA) has just ended. 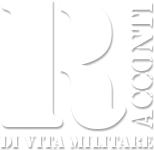 which was attended by teams from different nations, including the Italian Army team, composed of two selected shooters from the 3 ° Bersaglieri Regiment of the Sassari Brigade. The competition, originally created to test and evaluate the effectiveness of training programs for American sniper units, has subsequently taken on an international character, becoming an important moment in the training of selected shooters, increasing their knowledge and technical skills and improving them thanks to the comparison with other foreign units. The pair of bersaglieri, in addition to having sustained several precision shooting tests, successfully passed both the strength and endurance tests, such as a "ballasted" twenty kilometer march, carried out with a packed backpack, and orienteering activities.